A few years ago, I couldn’t imagine cooking without fresh rosemary. A soup or any Mediterranean recipe that didn’t include this potent, aromatic herb was absolute nonsense to me. One of my two children is allergic to rosemary. Yikes! As much as I love this spice, I love my kids more, so I decided to throw it all away and find a way to replace it without affecting the taste of the food I cook. 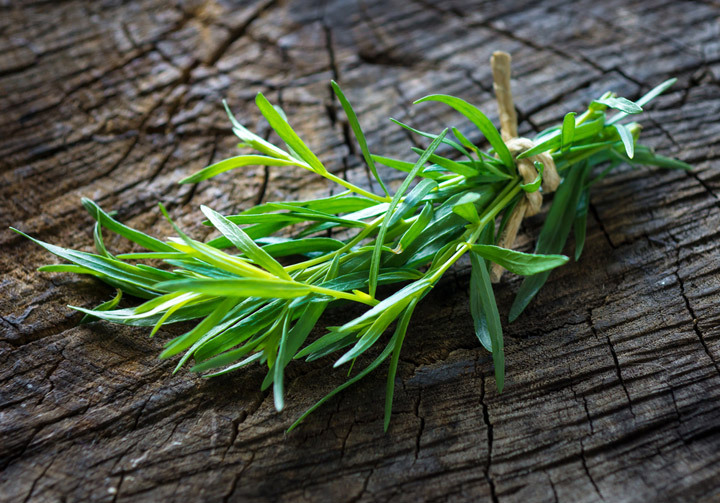 As you know, rosemary is native to the Mediterranean, and it has a pungent, earthy flavor combined with a piney aroma. It is incredibly powerful, and it can easily overpower other spices if you use too much of it. So, where do I find such herb that will offer me the same strength and help me spice up my meat, roasted vegetables, soups, and stews? It seemed like a mission impossible. 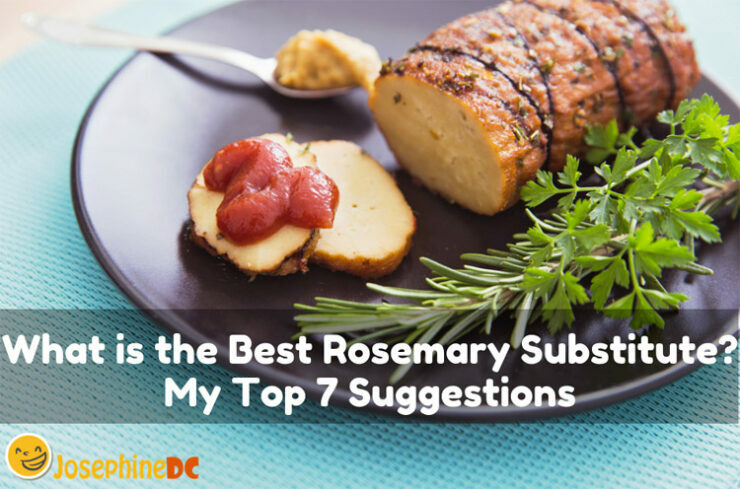 However, after a few months of experimenting, I discovered no less than seven substitutes for rosemary that gave optimal results. If you want to learn more, keep reading! You might not have rosemary on your herb shelf, but bay leaf is surely there! 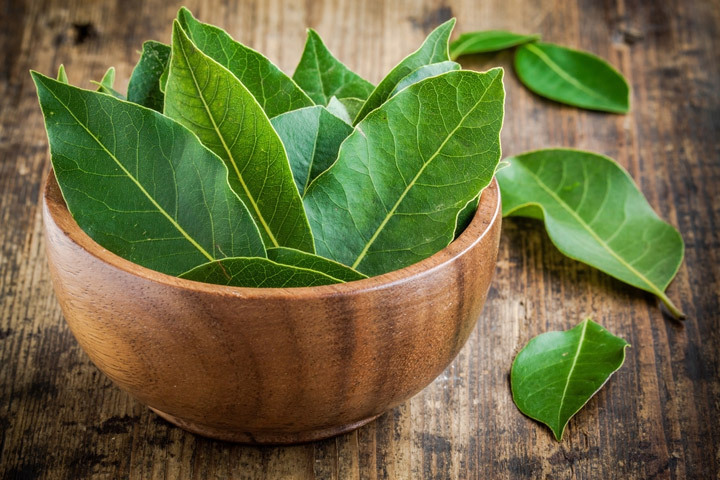 Experienced cooks use it so often that we usually forget what’s the bay leaf’s role exactly. This sweet herb is known for its pleasant aroma and various culinary benefits. The first rosemary substitute on my list is native to Asia Minor. However, it is grown into other parts of the Mediterranean and Asia too. The best way to use bay leaves as rosemary substitute is to combine them with thyme and peppermint. This mixture will drastically improve the aroma of your lamb dishes and make your family drool over it as soon as you take it out of the oven. Bay leaves are rarely used fresh, because of their gently bitter flavor, which is why you should dry them in the sun for several hours. Fortunately, their pleasant aroma is retained even after sun exposure. Bay leaves are rich in calcium, copper, iron, magnesium, manganese, and selenium. They offer many medicinal properties, such as respiratory system enhancement or management of diabetes. If you are looking for a reliable rosemary substitute, that won’t overpower the other herbs you use to season your dish; caraway seed is an excellent choice. You should remember that this is a strongly flavored spice, and you should use it in recipes that require strong seasonings such as poached fish, pork roast, salads, and sausage dishes. 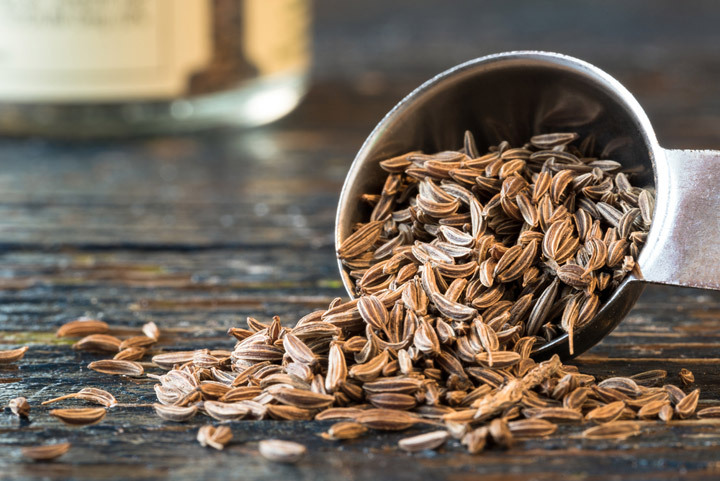 Caraway seed is native to central Europe, but you can also find it in the Mediterranean and the Middle East. It belongs to the carrot family, and its roots are edible as well. Don’t forget how aromatic caraway seeds are; their anise flavor is quite distinctive. One teaspoon of this spice will be sufficient for any dish. Caraway seeds are rich in dietary fiber, vitamin A, C and E, copper, magnesium, potassium, and selenium. They aid digestion, physiological functioning, body development, and red blood cells formation. I believe this goes without saying, but I will still point it out – you can use dried rosemary instead of a fresh one, but not in case somebody is allergic to it. Depending on where you live, you can grow fresh rosemary in your garden. However, if that is not an option, dry rosemary is sold in the majority of grocery stores. At last, if you can’t find it anywhere in your area, you can look for online herb stores, and have the desired quantity of dried rosemary delivered to your doorstep. 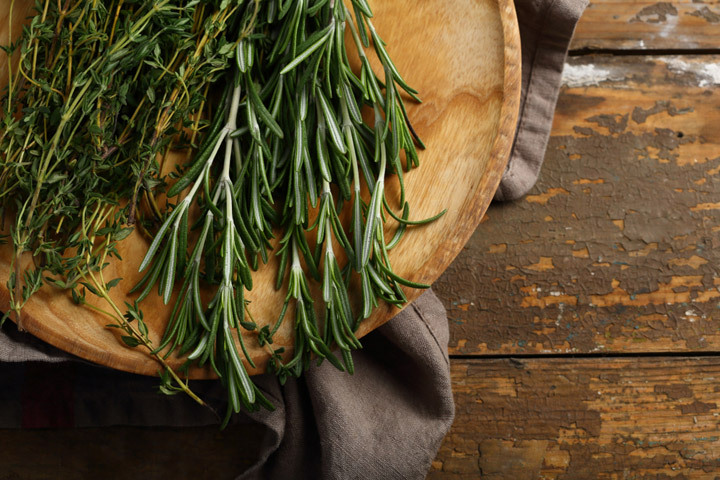 If you want to use dried rosemary in place of a fresh one successfully, make sure to cut down on the quantity. Use one-quarter of a teaspoon of dried, instead of a full teaspoon of fresh rosemary. If you follow these instructions, you will get the same distinct taste, and the difference between fresh and dried rosemary will be hardly noticeable. This shouldn’t come as a surprise to you, as the same contents are found in both options, the only difference is in their form and appearance. Marjoram (or Origanum Majorana) has sweet, aromatic flavor comparable to thyme. It is native to Cyprus and Eastern Turkey, so it is no surprise that you will most commonly come across marjoram in Mediterranean cuisine. It is a vital ingredient in many French, Italian and Northern European sauces. Dried marjoram works best with mushrooms and tomatoes. If you decide to use it in place of rosemary, make sure to add a bit more to compensate for its gentleness. The trick is to add marjoram to your dishes once the cooling is almost completed. This way, it will retain its spiciness. Marjoram is rich in vitamin B6, C, K, and dietary fiber while at the same time being low in sodium, cholesterol and saturated fats. It will provide your body with necessary calcium, folic acids, manganese, and magnesium. You can count on this herb to help improve your cardiovascular system, fight skin wrinkling, and acne. It is also characterized by powerful, antioxidant, antiviral and antibacterial properties. ​First, a friendly warning: there are two types of savory – winter and summer. Winter savory doesn’t have much resemblance to rosemary, as its flavor is quite bitter and less delicate. Make sure you are using its summer counterpart, also known as Satureja Hortensis if you want to find the adequate substitute for rosemary. You will come across summer savory if you try any dish from traditional Canadian, Bulgarian or Romanian cuisine. If you want to use summer savory, it is best to do it when cooking poultry dishes. 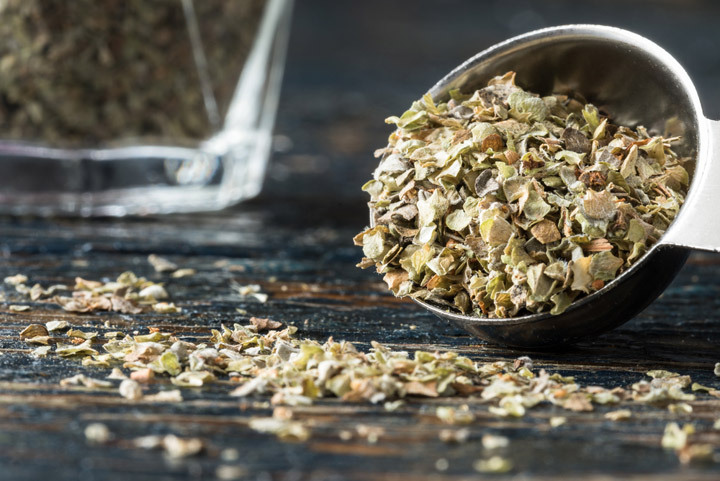 In this case, these two herbs can also be mixed, and the results will be spectacular. Summer savory is an indisputable part of various casseroles, meatloaves, slow-cooked meals, lentils, and beans. It can also be used in scrambled eggs along with parsley as a garnish. You can add it to a variety of sauces to enhance their aroma. Summer savory has antiseptic and disinfectant properties. It is rich with vitamin A, B6, C, calcium, iron and magnesium. It can be found as an ingredient in soaps and toothpaste. At last, it is commonly used to treat diarrhea, indigestion, flatulence and relieve sore throats. Most importantly, you can grow it in your garden! 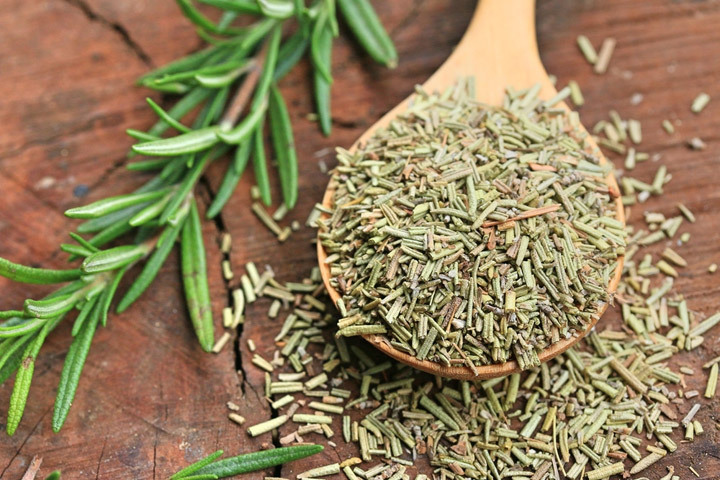 If you have tarragon in your kitchen cabinet, you are in luck, because tarragon and rosemary are interchangeable. This intensely flavored spice belongs to the sunflower family, and it is native to North America and Eurasia. It is rich in fragrance and has a licorice undertone. If you enjoy French cuisine, you are no stranger to tarragon which represents an essential spice for the preparation of the famous Béarnaise sauce. Most commonly, a quarter of a cup proportion is applied when you are using fresh tarragon or one teaspoon if you go with a dried option. Whether you like French recipes or not, this herb goes well with chicken, fish, other poultry, and cheese. If you add a little onion and mustard, you can also have a delicious soup or a stew. Go big or go home is not a rule you should follow when buying tarragon. This spice is best purchased in small portions. Chop it and store it in your fridge, so it doesn’t lose its unique aroma. Extended storage is not advisable. Make sure to wash the tarragon before using it and add it to the dish as soon as you can, so it can retain its flavor and taste. It is rich in vitamins A, B, C, calcium, copper, iron and magnesium. At the same time, its medical properties have been found useful in appetite stimulation and anorexia symptoms alleviation. You can also expect it to reduce your blood-sugar level and offer you some antioxidant benefits. The last but not the least on our list is thyme. This is one of the best rosemary substitutes you can find. These two herbs are similar in appearance, and they both have a warm, peppery undertone. This is no surprise, as thyme belongs to the mint plant family. Its aroma can also be described as similar to caraway, eucalyptus, and lemon. As you can see, there is a certain sharpness to its scent. This herb is native to Egypt and Greece, but you can find it all around Europe. Whether you decide to use it dried or fresh, its delicate flavor will agree with various soups, casseroles, and sautéed vegetables. You can also use it to enhance the taste of fish, eggs, and meat. All you have to do is find the right dosage for your dish. For example, one quarter to half teaspoon of diced thyme will be sufficient for both meat seasoning and eggs scrambling. The most significant advantage of thyme is that it is widely available and you can get it at your local grocery store or grow it in your garden or indoors. Thyme is rich in vitamin A, B6 and C, calcium, iron and magnesium. It has antiseptic, antimicrobial and anti-inflammatory properties which makes it an excellent immunity booster. This herb is also a frequent ingredient of cosmetic products such as antibacterial acne remedies, perfumes, and soaps. The next time you start cooking your favorite dish and realize you are out of rosemary, you won’t have to panic, because now you’ve learned seven different ways to deal with this situation. 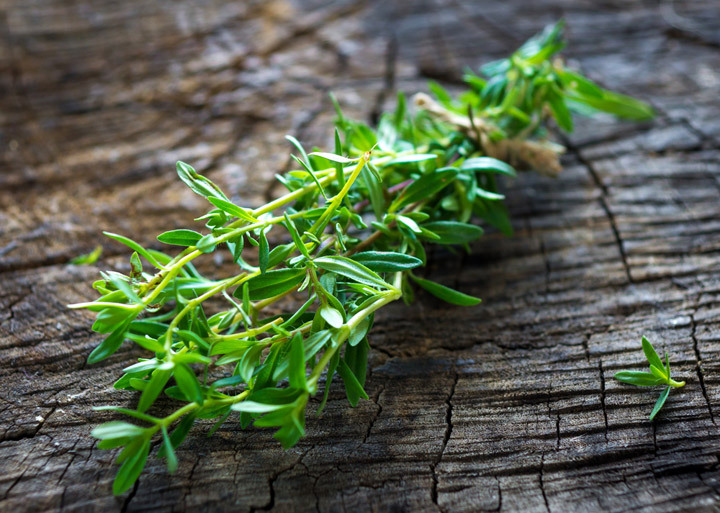 Yes, fresh rosemary is the best, and it is sometimes necessary, but if there is no way to get it and your dish is already boiling on the stove, reaching for bay leaves, caraway seeds, dried rosemary, marjoram, summer savory, tarragon or thyme, might be a good idea. I hope I explained everything you need to know about all possible rosemary substitutes. However, if you have any questions or cooking advice you’d like to share, leave me a comment!